It all too often evokes images of overly pretentious metal guitarists or exceedingly boring neo-prog eggheads, but the words “classically trained” may have found a bit of pop redemption in the form of Meadowmount-schooled singer-songwriter Elizabeth Willis’ self-titled debut. Augmenting some very straight-ahead, piano-driven pop songs with violin and cello flourishes, Willis has assembled an album by turns uplifting, irresistibly catchy and at times even a bit haunting. On the surface, Elizabeth Willis should be a recipe for disaster, as many a multi-instrumentalist given reign to oversee production of songs they wrote on their own has delivered less-than-stellar music, lest anyone forget some of the borderline psychotic moments of The Brian Jonestown Massacre’s middle years or (gasp!) Harry Connick Jr.’s bizzare turn on the “Star Turtle” suite. Willis avoids this not just by turning cello and drum arrangement duties over to cellist Robin Pfoutz and drummer Ira Grable, but also by wisely letting the songs speak for themselves through some very simple structures and equally lean instrumentation. Willis’ overall sound may bring to mind any number of modern female singer-songwriters, but the 6/8 opening piano interludes of “Remember You” and shuffling waltz of “Blackbird” suggest she hasn’t left her chops entirely behind her (not to mention her thanks to Beethoven and Rachmaninov in the liner notes). Elizabeth Willis also owes much of its success to the interplay between Willis’ violin and piano and Pfoutz’ cello, such as the countermelody against the piano line in “Stars” and surprisingly heavy “In Your Eyes” (whose piano riff could quite easily be transposed into a lower key and form the backbone of a great metal song). On “Thoughts,” Pfoutz’ cello adds a somber musical element to an otherwise cheery piano arrangement, even while Willis sings sadly about a relationship refusing to end. Willis rarely employs anything but lead vocals throughout the album, so in some respects the strings can almost be viewed as the harmony and backup. One of Willis’ more interesting choices is how she only very selectively reaches into her bag of tricks where actual playing is concerned. Trained in some of the finest schools in the land (the Meadowmount School and Mannes College, for starters), Willis never really pulls out the stops beyond some of the aforementioned dabbling in unconventional time signatures, avoiding fancy solos altogether and very rarely bringing in fringe chord pairings, instead keeping her playing as simple and direct as the songs it supports. 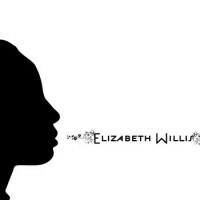 In many ways, Elizabeth Willis could have been a much wilder album, but that would demand Elizabeth Willis not to actually be the work of Elizabeth Willis. Artistic identity questions aside, Willis wisely chose to let the complicated moments act as complementary rather than focal points, and the results more than speak for themselves.